If you or a loved one has been involved in a car accident, you should seek immediate medical attention and contact the police. It is important to file a report to document the accident. You should then contact your attorney, and if possible gather information from eyewitnesses. 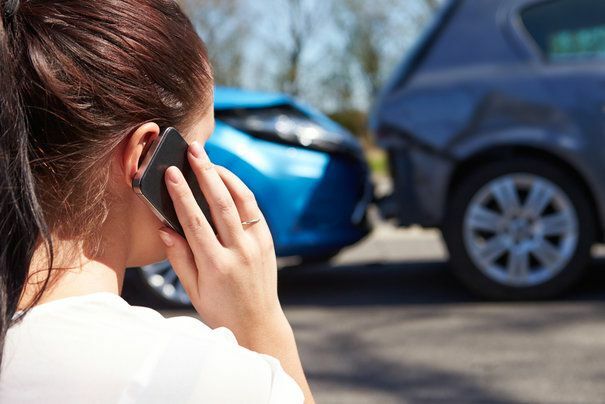 Attorney Chris Olsen can guide you through what to do after a car accident and help you secure compensation for your injuries. If you have been involved in a car accident in San Diego, CA, contact our office today to discuss your case. After an accident, you should confirm that all parties are healthy and contact the police. Acting fast after a car accident has many benefits. Get to Safety: If you can, you should exit your car and move out of harm's way. You should also turn on your hazard lights should you be unable to move your vehicle. Lifesaving Medical Care: Check on other passengers, drivers, and pedestrians to make sure no one is injured. It is vital to receive medical attention if you or anyone else has sustained injuries, whether minor or severe. Traumatic brain injuries, for example, may not manifest immediately. A medical professional can identify the signs and symptoms, and a proper evaluation can help prevent the injury from escalating. Medical reports can also be used to prove the extent of injury and bolster your case. File a Report: You should immediately contact the police to file a report. Make sure to provide detailed information about the accident but refrain from taking fault. The police can take note of any skid marks and the position of the vehicles if they have not moved since the crash. These notes help to establish fault and can be used during insurance negotiations. Remember to take note of the officer's badge number and name. Preservation of Evidence: If you can, take pictures of the scene of the accident, and make note of any cameras in the area. You should also talk to eyewitnesses to find out if any recordings were taken. Obtain Information: Talk to eyewitnesses and write down their names, emails, and cell phone numbers. You should also take note of the insurance information for any parties involved as well as their license plates. Make sure to write down the location of the accident. A lot of the information gathered in the moments just after an accident can be used during negotiations or in the case of a trial. The more details we can provide about the accident and your injuries, the stronger your case and the higher the likelihood of compensation. If you have been in a car accident, we can help you obtain the care you need and the compensation you deserve. If you have been in a car accident, we can help you obtain the care you need and the compensation you deserve. Attorney Chris Olsen will carefully review all of the facts of your case and work hard to build a strong argument. To schedule a visit, contact us online, or call us at (619) 550-9352.